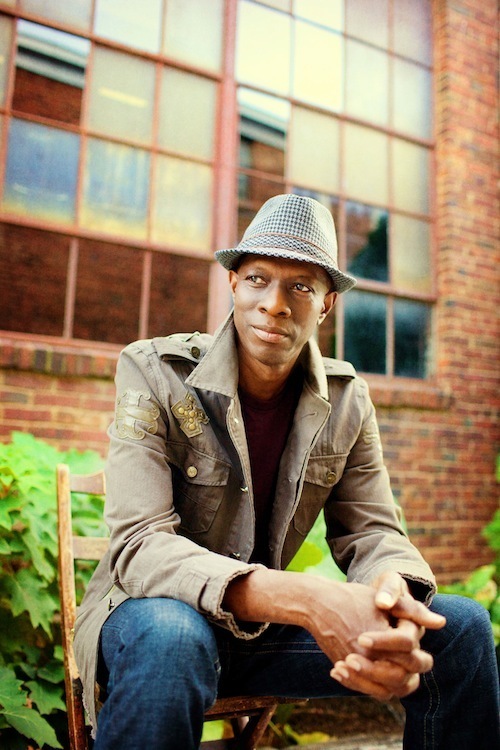 Keb' Mo' has managed to achieve something few performers have--the ability to be in two places—two worlds of artistic achievement—at once. He’s cool and classic, contemporary and traditional, a rock star yet still considered a constantly evolving recording artist and performer. He's maintained long-standing musical friendships with legends like Bonnie Raitt, Jackson Browne, and Taj Mahal, yet still manages to sound edgy and in a constant state of renewal; breaking in, breaking through, and breaking out. When we last saw Keb' Mo' in Manhattan for Eric Clapton's Crossroads Festival at Madison Square Garden, Keb' Mo' performed with Taj Mahal following an over-the-top set by Vince Gill and Keith Urban that all but buried special guest Albert Lee in an ocean of sound. But then came Keb' Mo' and Taj Mahal, seated together in one corner of the hall’s immense stage. Within seconds, the sold-out audience at Madison Square Garden was paying rapt attention to their intense performance. Together, they made a deeper, more meaningful impression than nearly all of the other acts (including Eric Clapton and guest Keith Richards) and did so with minimum amplification. 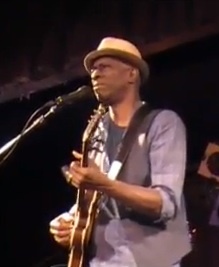 On “Diving Duck Blues” and a cover of the Robert Johnson classic (by way of Son House)“Walking Blues,” Keb Mo backed up Taj Mahal on a steel body guitar (with a bit of a help from a humbucker) and effortlessly answered Taj’s phrasing with lightly phrased slide guitar for a spellbinding set that ceased to be blues or country or anything else. The crowd was ready and willing to hear anything the duo had to offer and it was surely the highlight of the entire five-hour show. 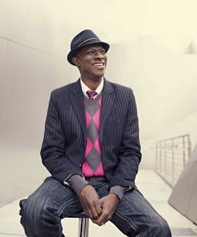 Keb’ Mo’ was born Kevin Moore in Compton, California. His second album for Sony, Just Like You, was his artistic breakthrough and won a GRAMMY, the first of three out of eight nominations since 1997. His recorded output has been steady---always changing, always challenging, but always rooted in the blues. Epiphone.com spoke with Keb in 2014 where he was finishing a session with Sweet Pea Atkinson before heading to New York for Crossroads. First things first, we started off by talking about the one that got away, a vintage ‘60s Epiphone Sheraton. 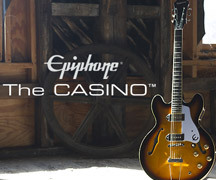 Epiphone: You lost a vintage Epiphone Sheraton in the Nashville flood, is that right? KM: I did. I really do miss that thing. I really do. We’ll see what we can do about that. KM: Oh, I would appreciate it (laughs). That was a great guitar. KM: Thank you. For now it’s just a two song single. We didn’t have the resources to do the whole thing—an album. But I really enjoyed it. Are you in the studio now? KM: Yes, right now I’m working with Sweet Pea Atkinson (Was, Not Was). We’re having a great time. What kind of producer are you in the studio? KM: I do whatever I have to do to get that job done (laughs). Everything from hands-on- everything to staying out of the way if that’s what the artist requires. You usually produce yourself, right? KM: I produce myself but I have had producers. I like it both ways. What I like about having someone else do it is it takes the weight off me. What I like about producing myself is that I get all the things like I like it. When I’m produced by someone else, there are often compromises; decisions are made that I wouldn’t do myself. Sometimes they come out better. Sometimes not. But generally, I feel like what I do is more purely what I do when I produce it myself. You’re back at Crossroads again this year. Do you feel a sense of competition when you’re in a show with so many marque guitarists? KM: Well, it’s an overwhelming amount of guitar players. But it’s just about showing up and doing what you do. It’s not really a competition. People in the audience, they’ll have their favorites and that’s fine. It’s just about showing up to the event and contributing whatever you can do to make it a success. You’re based out of Nashville now. Why Music City? KM: I just look at Nashville and living in the south as a nice place to live. Very nice people. What I do is just what I do. It’s not so much that I’m trying to ‘find Mississippi’ or anything like that. It’s really about being in an environment that nurtures me. I have a great home. A studio. A great place to work. It’s all about liking who you are and being comfortable with yourself. Geography doesn’t figure into it that much. It might for some, but not for me so much. When you started performing, was there a moment when it occurred to you this might become a so-called “profession”? KM: Well, the first time I got paid, I called that professional (laughs). I don’t think of it as ‘professional’ as much as who you are. Calling it a ‘profession’ kind of indicates it’s a job. I don’t think of it as a job—performing and recording. I used to think: “this is what I do and wow I get paid for it!” Something like that. ‘Professional’ means it’s something that’s reached an efficient level, guess. That seems too formal. I never looked at it like that. I looked at it like: let’s see what happens. I’m doing what I love to do. Was there a time in your career where you felt like your performance style really came together? KM: I guess in the late 80s was when I really started to get it together. That was the best time--when I was finding who I was, when everything kind of culminated and I began to see the individuality start to come out. Do you feel like your audience allows you the freedom to try new things? That can be difficult as you reach more people. KM: Yeah, I do have the freedom to experiment but I do pay the consequences of experimenting. You confuse people when you experiment, because you’re seen as a brand. It’s like going to your favorite store. You wanted to go to Target and now suddenly it’s a Neiman Marcus. And that’s fine. Neiman Marcus is cool but what you wanted was Target. Or, you go to your favorite hot dog stand and it’s now a sushi bar (laughs) and what you really wanted was a hot dog. How do you deal with that pressure when you want to try new things? KM: You can do all of that honestly. A lot of artists don’t and just stick close to their brand. There are exceptions to the rule but there is the expectation that you should stay in your lane and not jump around. Your records change up between featuring acoustic and electric guitars. Do particular instruments influence your writing? Do you tend to reach for one or the other when you’re composing? KM: Whichever one I have is the one I like the most. Whatever fits the situation. It’s about really communicating the song. The instrument is important but it’s a tool. The voice is more important to me. That’s what I struggle with. As for an instrument, whatever makes me comfortable and feel good. 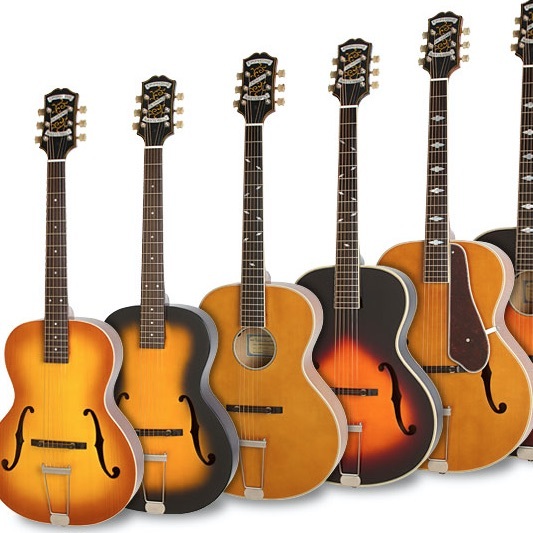 Epiphone makes great guitars—fantastic--but no instrument can replace a human voice. I have to make my voice happen every time I show up. When the instrument is great, the easier I find myself. Do vintage instruments make a difference? KM: I don’t really get into vintage guitars and vintage guitar collecting. If it’s 100 years old or 2 years old, all that matters to me is: can I use it? Collecting vintage guitars is like collateralizing instruments—treating it like an antique instead of treating it like an instrument. If you’re collecting a $10,000, $50,000 guitar, then it starts to become—I don’t know--about paranoia (laughs). You gonna take that on the road with you? I don’t think so. What have you been listening to since your last album, TajMo came out? I just started getting back into Quincy Jones, you know? Back On the Block is great. And I’ve been getting into that. One of my go-to records is Terence Blanchard’s A Tale of God’s Will. I like to think on what are we crating today as opposed to listening to records all the time. I’ll be recording a new album at my studio in Nashville this summer. Perhaps we can find a way to get you a Sheraton in time. KM: Ok! We’ll see you then.